It’s Thursday in most places around the globe, but today is my Friday! Luckily, I have tomorrow off from work, and I’m looking forward to a long, exciting weekend. Start your weekend early with the first square of our Whovian CAL, simply called: Doctor Who? 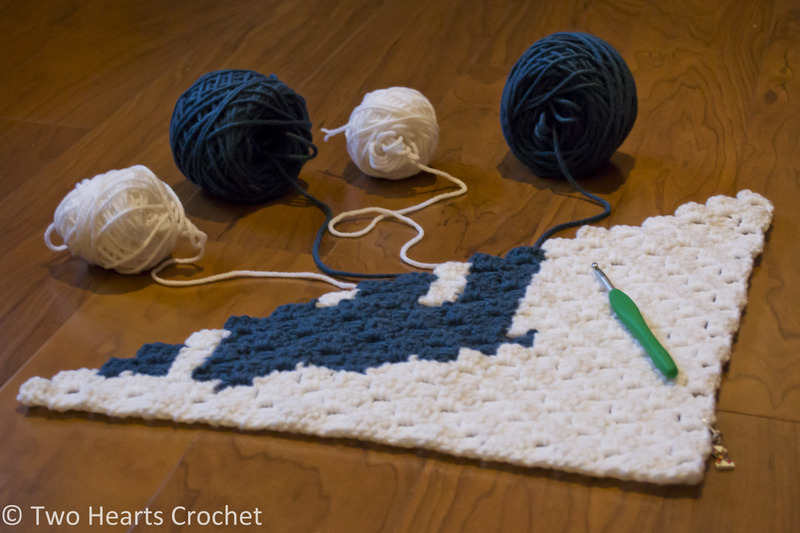 This square is nice and easy–only two different colors to work with! If you’re new to C2C and find color changing difficult, try working with some yarn bobbins for each necessary color change. For most of this square, you’ll need a total of 11 color changes (6 in white and 5 in sapphire). If you don’t have yarn bobbins, you can make some following this wonderful tutorial from Mischief Managed or you can do as I do: take your skeins of yarn and a ball winder and carefully wind several balls of each color! You might find it helpful to put a stitch corner somewhere along one of the edges so that you can easily spot which corner of your square matches up on the graph. In the picture above, you can just see my “Whovian Awareness Ribbon” stitch marker in the lower right-hand corner of my square. It’s especially helpful when you’re just starting out and you can’t see much of the graph yet in your work. Download the PDF graph for the Doctor Who? square now! You’ll notice that this first square for our Whovian CAL is slotted for the center of the graphghan. 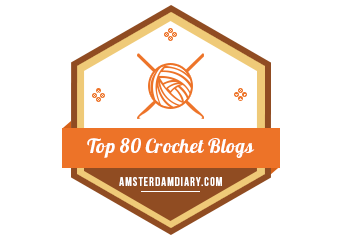 I picked this as our first square because it has the fewest colors out of all the squares,–a nice way to start! Square #2 is an old friend of the Doctor–I hope you’re as excited about it as I am! I hope to have the second square finished and ready to post by this time next week (possibly next weekend). I can’t wait to get this started. Thanks so much for sharing! I’m in 🙂 just need to see if i have colors in my (huge) stash or if i need to go out and buy!!!! This looks awesome. How many colors are you expecting will be used in total? I’m going to get the supplies today! I am almost half way through this square! I’m using red heart yarn because it is what Ihad. White and Royal. Can’t wait to finish it! Chances are I will be making a few of these for my Whovian friends and family! How do you make sure you do not miss any updates on this. I want to make this for my son. About how big is your square when you finished? I realize it will vary based on yarn used, but just trying to get a rough idea. Using 4-ply yarn, mine measure roughly 22″x22″ before blocking. I’m using a size I/5.5mm hook, but I know others prefer an F or G hook, which would make each square a little smaller! On row 28 it says 1W and then 5W but I only have room for 5… Did I do something wrong or is it a typo? I just tried to download the link and it is giving me a 404 error. Help please. Oh no! I’m not sure why it’s giving you that error. Try copying and pasting the link below straight into your browser – that should do the trick!